Back in October our new laying hens arrived. 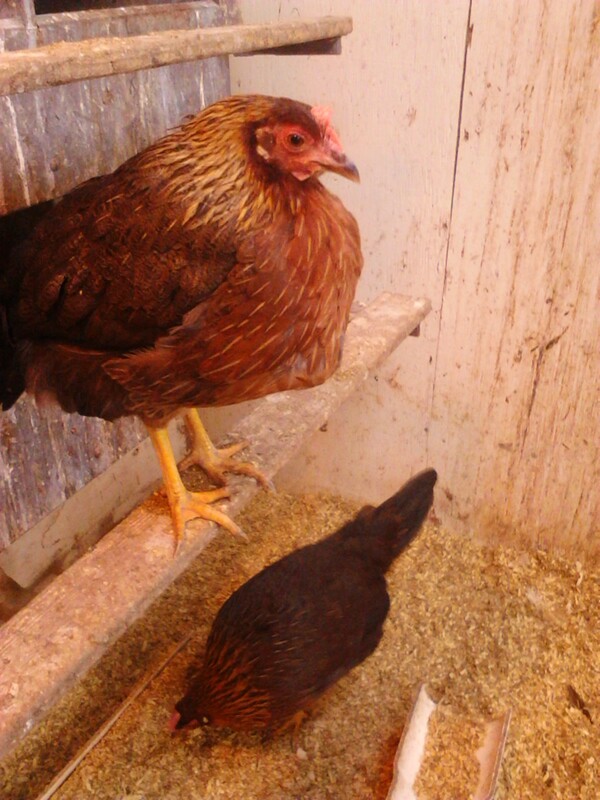 This year we’ve chosen to raise a mixed flock of Delaware and Brown Leghorns. 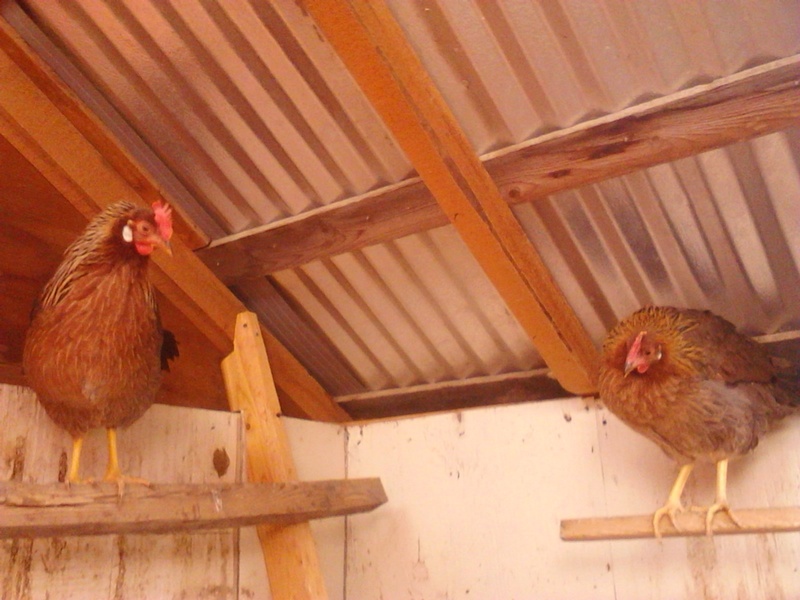 Leghorns or “leggerns” are one of the best known poultry breeds. They are also more commonly found on production farms and are pretty much the epitome of chicken- for instance this guy is a caricature of a leghorn. The most interesting thing though, and the reason for this post is that these hens lay white eggs. Why a white egg? Well, by choosing to raise Brown Leghorns we can easily identify the eggs from our heritage breed Delaware. I’ve long been wanting a breeding flock of Delaware, but it has been difficult to get a large number of eggs to sell in order to offset those eggs kept for hatching. The Brown Leghorn is a sturdy bird, but hens only weigh 4 lbs (compared with 6lb Delaware hens) and they lay up to 300 eggs a year. Curious about how your hens’ production measures up- check out the Henderson’s Chicken Breed Chart. The leghorns are much more flighty than the Delaware and have no qualms about flying up to roost on your head, shoulder or back when you tend them. I’m hopeful their beautiful brown coloring will make them less visible to predators and I know their affinity will flight will improve their chances as well. But back to egg color, so what is the difference? In a word, nothing, but if you want to know more check out this All Things Considered report. At Bacon Brook Farmstead there is no difference in management- all our birds are fed certified organic grain, have outdoor access (but they do have a curfew) and roam big pastures where they can engage in important hen activities like dusting, scratching and fluffing. For the winter their share a paddock with 13 adorable goat kids and we enjoy watching how they make themselves right at home.